We are revamping the structure and pricing of Connects to help professional freelancers and agencies find and win more contracts. We will be rolling out this new Connects plan to existing users over the months of May and June. New users signing up may see the change as early as the end of April. When the change takes effect, Connects will cost $0.15 each and we will no longer be providing users with 60 free Connects (or 80 free for agencies) each month. Submitting a proposal will no longer cost 0-2 Connects and will range from 1-6 Connects, depending on the job post. However, proposals submitted to invites from clients will remain free. We will calculate the number of Connects needed to submit a proposal based on the projected job value. This is determined using the estimated duration and budget amount for the job, as well as marketplace demand. Essentially, a longer-term job with a high budget will require more Connects than a small short-term, entry-level project. Fundamentally, it’ll take fewer Connects to submit a proposal for a project with a $40 budget that is expected to last one day, than it will for a bigger project where you can earn $1,000 or more. On average, most freelancers will spend $5 per month or less on Connects. Hayden Brown, Head of Product and Design shares more about the rationale around the Connects change in the video below. We will be hosting a Town Hall with Jessica Tiwari VP of Product to go over these changes on Thursday April 4th at 9am PST. Click here to register. You can also find more information by visiting the Connects landing page here. Proposals submitted for invitations you receive from clients and those submitted for projects in an Enterprise client's Talent Cloud will continue to be free. 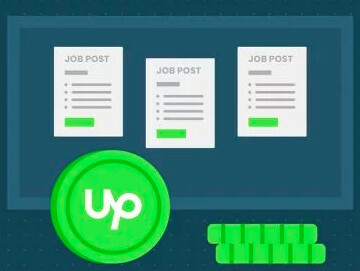 If a client closes their job without hiring or a job is removed by Upwork for violating our Terms of Service, your Connects will be returned. New freelancers will be given a one time allotment of 20 Connects for free so they can trial the platform before purchasing additional Connects. Rising Talent freelancers will continue to receive a one-time allotment of 30 free Connects when they receive Rising Talent status. Current Top Rated freelancers and agencies will be given a one-time allotment of 60 Connects, to help with this transition. You must be Top Rated when this launches in your category to qualify. Freelancer Plus membership costs will increase to $14.99/month. This plan includes 70 free Connects each month, with the option to purchase additional Connects at $0.15. Agency Plus members will continue to pay the $20 membership plan amount and can purchase Connects at $0.15 each. Freelancers can rollover up to 140 Connects monthly. Agencies can rollover up to 160 Connects monthly. Connects will expire 1 year from the purchase date. When this change takes place for you, Connects that are currently in your account will remain and rollover. We know this is a big change. 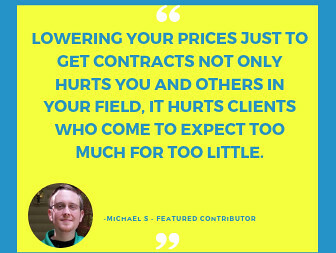 Before deciding on this new Connects system we interviewed many freelancers, agencies and clients about their hiring concerns and Connects usage. We also thoroughly researched platform hiring and proposal trends. We found that most freelancers do not utilize the full 60 connects they were provided with each month. Because of the surplus in Connects, many freelancers are less selective when submitting proposals and often times submit proposals to jobs not suitable for their skillset. Experienced freelancers have noted that newer or inexperienced freelancers saturate or spam clients with irrelevant proposals, which creates unnecessary friction. Clients have also told us they are often overwhelmed with the number of proposals they receive, especially when many of the freelancers may not meet their project requirements. This can lead to a frustrating and unproductive experience for all parties. With the new Connects system our goal is to help professionals win more projects. With paid Connects we expect freelancers will submit fewer proposals, ones that are more tailored to their skill-sets and the requirements of the project. Thus helping clients find more qualified candidates and reducing the friction caused by the high number of proposals sent by freelancers who may not be qualified or have the right skills for the projects they’re applying to. We are confident this will increase hiring rates and make it easier for clients to identify high-quality talent and for high-quality talent to connect with great clients. We encourage everyone to attend the Town Hall on April 4th, where we will be answering many of your questions register here. You can also share your feedback and questions here in the forums. I'm gonna have to calculate that extra penny when I leave $14.99 in my account every month. y u people make me do hard math and things? I think it's a wonderful improvement to the platform. Freelancers need to have skin in the game before they can play. Lena, hourly jobs often have no time frame or budget listed. 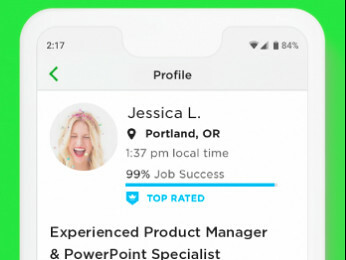 How does Upwork plan to allocate / charge for connects when this is the case? Overall, I think this is a positive change from every perspective for fixed price jobs. My personal jury vote is on hold until you supply an answer to my above question. PS. Will this allow Upwork to reconsider the client limitation of 3 invites only without hitting them up for $50? I sincerely and adamantly suggest changing the 3 to 10 ... as y'all know. Thanks for reaching out and sharing your feedback. In these cases the Connects will most likely fall into the lower end of the range, 1-2 Connects. We are looking at ways to more accurately set the Connects needed to submit a proposal to job posts like these (where the client might not indicate a budget or project length. As for the invites limit, clients do have options to get more invites and if a job isn’t getting sufficient interest, we will allow proposals to be submitted for “free” (without any Connects). Thanks for responding re hourly jobs when time frame and budgets are not stated, Valeria. Much appreciate your swift answer. As to "clients do have options to get more invites", etc. > as you know, I'm not alone in suggesting the 3 be increased to 8- 10. My reasoning is purely from the client's POV. Sorting thru truly capable people usually turns up perhaps 15-20 with strong records. Narrowing down that number to a more manageable 8- 10 is possible - cutting it down to 3 is not. Asking buyers to fork over $50 for the right to reject a few more people when finding the most qualified - in talent, style, and personality fit to perform a job that - if all meshes - can lead to thousands spent - seems incongruous,self-defeating, and short-sighted. But, I APPLAUD this new move!!! Echoing the plea for an increase in invites - 10. Paying for the pleasure of inviting more freelancers to bid may make sense for a business. Less so for an individual - the sort of person who is also likely to be less experienced when it comes to finding and selecting a freelancer and so needs more invitations. And also the sort of person who is more likely to have a one-off project and therefore doesn't want to invest in what appears to be a long-term arrangement. Wait, what? How can a platform-wide initiative like this be rolled out with 50% of the contract types being up in the air in terms of how it will work? Why would this not have been thought out before such an announcement? We have fixed bid and we have hourly and that entire second bucket gets a "we don't really know" or "most likely" when announcing this major change. Speechless. We calculate the number of Connects needed based on the projected job duration, budget amount and marketplace demand. ETA: When a client posts an hourly job they select an experience level, time requirement and job duration. We use these to estimate the projected budget. If any of these details are not specified in the job post, we use the other info provided to determine the Connects price. I'd also would like to answer your earlier question about free connects Top Rated freelancer receive. Connects expire one year from the date of issue. If you are talking about jobs per hour, I would like to know how exactly you are going to calculate this. Neither do I know, many times, how long it will take a job and therefore what total amount will have. Will you have fortune tellers? And, incidentally, something that I have asked and, with so much thread mess, I do not know if you have answered me. I can buy connects with my Upwork balance, ok. But, will I have to have a verified payment method too?